Encryption isn’t only for paranoid conspiracy theorists 8 Weirdest Conspiracy Theory Websites On The Planet 8 Weirdest Conspiracy Theory Websites On The Planet Isn't it crazy how few skeptic, fact-checking sites there are out there, yet there is such an abundance of crazy, poorly-researched conspiracy garbage sites ? I've decided to share a few of my top selections... Read More , nor is it just for tech geeks. Encryption is something every computer user can benefit from. Tech websites write about how you can encrypt your digital life, but we’ve all done a poor job of explaining why you should actually care. We’ve covered a variety of ways to encrypt everything on your computer, encrypt files you store in the cloud 5 Ways to Securely Encrypt Your Files in the Cloud 5 Ways to Securely Encrypt Your Files in the Cloud Your files may be encrypted in transit and on the cloud provider’s servers, but the cloud storage company can decrypt them -- and anyone that gets access to your account can view the files. Client-side... Read More , have encrypted online conversations How To Secure & Encrypt Your Instant Messaging Chats How To Secure & Encrypt Your Instant Messaging Chats Read More , and do lots of other things with encryption 4 Surprising Ways To Encrypt Your Data 4 Surprising Ways To Encrypt Your Data Encryption is often considered the playground of geeks alone, but it doesn’t have to be. Encryption just means that information is scrambled and you can only access the real information with a special password or... Read More . Now we’ll get back to basics and explain the many threats encryption can help protect you from. Encrypting your storage protects the data on it from thieves. If someone steals your laptop Track Down and Recover Your Stolen Laptop With Prey Track Down and Recover Your Stolen Laptop With Prey Read More , smartphone, or tablet, encryption can prevent them from accessing the sensitive data on your hard drive. The media is full of reports from business employees who lose laptops containing sensitive customer information, including credit card numbers – if only they had used encryption, they wouldn’t have embarrassed their employers and given their customers’ information over to identity thieves. This is a dramatic example, but it’s true even for the average person. If you store financial data, business plans, or other sensitive documents, such as scans of tax returns with your social security number and other sensitive data on them, you should ensure your computer’s hard drive – or at least the sensitive files – are stored in an encrypted form. Encryption can also help protect any other type of private data that you don’t want someone else seeing. Cloud storage gives us a great way to keep our files in sync across all our devices, storing a backup copy on the cloud storage corporation’s servers so we won’t lose it. It’s also a great way to share files with other people. 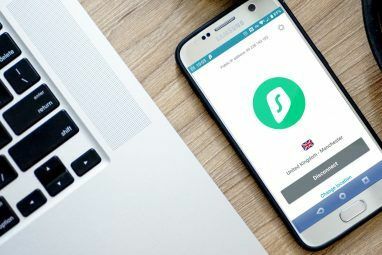 Encrypting sensitive files prevents them from ever being accessed without the encryption key, even in a worst case scenario when your cloud storage provider’s security fails or someone else gains access to your account. Encrypthion also allows you to securely share sensitive data with other people – just agree on an encryption key ahead of time (you could even do this in person) and then use that key to share sensitive files over email or a cloud-storage service without others being able to access it. Your bank and online-shopping websites like Amazon all use encrypted connections (the HTTPS URL What Is HTTPS & How To Enable Secure Connections Per Default What Is HTTPS & How To Enable Secure Connections Per Default Security concerns are spreading far and wide and have reached the forefront of most everybody's mind. Terms like antivirus or firewall are no longer strange vocabulary and are not only understood, but also used by... Read More with a lock in your browser indicates a secure, “encrypted” connection). When you access an HTTP website, your browsing activity is viewable in plaintext form. For example, if you’re sitting in a café using public Wi-Fi and performing Google searches while not logged in, anyone on the Wi-Fi network could monitor your Google searches and any other website activity taking place over HTTP. Even if you used HTTPS to access websites, people could still see the HTTPS website you access. To avoid having your browsing activity tracked on public Wi-Fi, you could use a VPN What A VPN Tunnel Is & How To Set One Up What A VPN Tunnel Is & How To Set One Up Read More or Tor to “tunnel” your browsing activity through an encrypted connection How the Tor Project Can Help You Protect Your Own Online Privacy How the Tor Project Can Help You Protect Your Own Online Privacy Privacy has been a constant issue with virtually all major sites that you visit today, especially those that handle personal information on a regular basis. However, while most security efforts are currently directed towards the... Read More . Encryption can also be used to protect emails and instant messages against prying eyes. 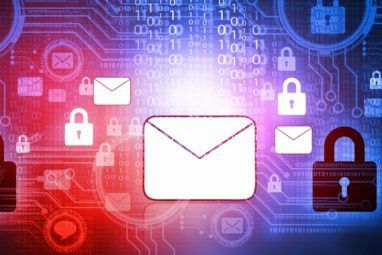 Email is sent over the wire in plain text form, so particularly sensitive data should be sent in encrypted emails – or not over email at all. If you’re sending an important file via email, you can encrypt the file before emailing it The 5 Best Ways To Easily & Quickly Encrypt Files Before Emailing Them [Windows] The 5 Best Ways To Easily & Quickly Encrypt Files Before Emailing Them [Windows] Earlier this year, I was faced with a situation where I had a writer working for me overseas in China, where we were both certain that all of our email communications were being monitored. I... Read More . This is just the USA – the situation is even worse in countries like China How To Quickly Check If Your Site Is Visible Behind The Great Firewall Of China How To Quickly Check If Your Site Is Visible Behind The Great Firewall Of China The Great Firewall of China, officially known as the Golden Shield project, uses a variety of methods to block foreign websites that the Chinese government doesn’t like. The Chinese government doesn’t publish a list of... Read More or Iran, where repressive governments will monitor all the unencrypted communications they can get their hands on. It’s not paranoid to realize that governments are building massive databases of our communications and personal data. Encryption can be a way to help prevent your data from being accessed without a warrant or automatically logged in a database. Do you use encryption for your hard drive, cloud storage, smartphone, emails, or any other type of communications? Leave a comment and tell us why. Explore more about: Encryption, Online Privacy. Aaaaand if you really want to browse anonymously, you should use a VPN AND Tor. As far as I know, ExpressVPN's the only provider that has its own .onion network. Tried it. Works great. I would point out that using unusually heavy encryption or TOR is likely to get yo flagged over seas. It's like the old days, with couriers walking around with laptops chained to their wrist obviously they've got something to hide. Long term, the best way to escape surveillance is to saturate it. People think the system look for threats, they don't, they look at everything then toss out as much info as they can until they get the suspect list down to manageable small size suspects. Such systems are like the brain, trying to ignore the infinite regress of information and just focus on the important. If everyone visiting China, ay use TOR or various encryption techniques, the system simply can't keep up. But we shoud remember that the NSA and the politicians of both parties in the US who have ratified its actions are doing so because we do face internet coordinated attacks on our home soil. Attacks which if not stop could alter us politically. Beside the invasions caused by the War on Drugs are a thousand times worse and we should burn our political capital on the big threats and let this piss-ant spying be last on the list. Encryption, though very useful, slows things down. Speed is something which the average user wouldn't trade for overwhelming security. Except my passwords, I do not have most of my data encrypted. This worries me a little bit but I haven't faced any problems yet. So, Status Quo. Yes, TrueCrypt is a great data encryption software. I have been using it for several years and recommended it to many people. I would like to thank TrueCrypt Foundation for the development of such a fantastic data security software which is FOC. I backup all my data to an external drive and also up in the cloud. Most of my files -- photos, video, music -- don't need to be encrypted. And I keep all important data in the same handful of Excel or Word files -- password protected (encrypted). I always have this paranoia (probably unfounded) of losing my computer and local data -- then downloading all the backup off the cloud -- only to be unable to decrypt them! But with the few password-protected Office files -- I know I can always open them. My facebook feed asked to fill in the blank. You should encrypt your data in case _________. Zombie geek apocalypse. You never know when Geekdom will get infected as some comicon and try to steal data and end the world. On a serious note, if someone really wants to get into your computer, they will. If your stuff is encrypted, it won't do them any good. Great article. This topic should not be a feared topic but yet a topic of knowledge and know how. It makes since that there is a greater need for encryption when we consider how technology is becoming the standard for your average person. This is one aspect that I love about using Linux based systems...part of the install of the OS gives you the option to encrypt your HD or home folder (where you keep your personal data). In the past Windows OS's ( I can't speak for Windows 8) has not given factory/default option to do such a thing. I recently started using an Android based phone...one of the first things I had taken advantage of is using it's built in option for encryption of both the OS and my micro SD card. Simple answer, don't put anything online including the cloud that you're not willing to risk someone seeing. No mobile online banking, only from home on a pc you trust using an outrageously difficult password. The primary barrier to encryption is ease-of-use. Eyes usually glaze over at the mention of encryption. That is why I created ThreadThat dot com. TT provides simple, free encryption for all electronic communications. Not just SSL, but end-to-end encryption. So simple anyone can do it.